With the Scoutmaster’s guidance, Scouts form themselves into Patrols, plan the Troop’s annual, monthly, and individual meeting programs, and bring these to life. For this to happen, the Troop relies on Scouts serving in key positions of responsibility, make up the PATROL LEADERS COUNCIL (aka “PLC”) – The PLC is the primary operational/program decision-making body of the Troop. Click HERE for more information on the PLC. The senior patrol leader (SPL) is elected by the Scouts to represent them as the top youth leader in the troop. He runs all troop meetings, events, activities, the annual program planning conference, and the patrol leaders’ council meeting. He appoints other troop youth leaders with the advice and counsel of the Scoutmaster. Click HERE for more information on the SPL position. The assistant senior patrol leader (ASPL) is the second highest-ranking youth leader in the troop. He is appointed by the senior patrol leader with the approval of the Scoutmaster. The assistant senior patrol leader acts as the senior patrol leader in the absence of the senior patrol leader or when called upon. He also provides leadership to other youth leaders in the troop. Click HERE for more information on the ASPL position. The patrol leader (PL) is the patrol’s key leader, representing the patrol at all patrol leaders’ council meetings and the annual program planning conference, and keeping patrol members informed of decisions made. 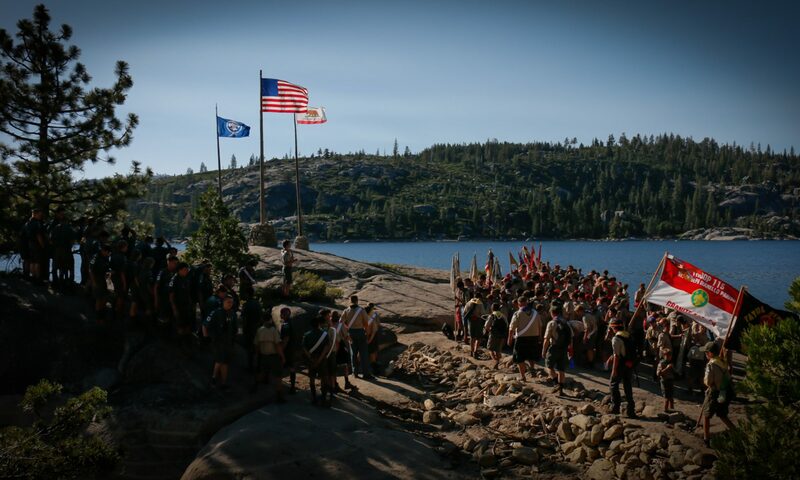 Patrol leaders carry out planning, leading, and evaluating patrol meetings and activities, and assure patrols are prepared to participate in all troop activities. They keep their patrol intact so they can work together and share responsibilities to get things done. It is incumbent upon them to be a good example for the members of their patrol and the rest of the troop. Click HERE for more information about the PL position. The troop guide works with new Scouts. He helps them feel comfortable and earn their First Class in their first year. He teaches basic Scout skills and works with the patrol leader at patrol leaders’ council meetings. Click HERE for more information on the Troop Guide position. The Quartermaster (QM) keeps track of troop equipment and sees that it is in good working order. He keeps records on patrol and troop equipment, makes sure equipment is in good working condition, and issues equipment and makes sure it is returned in good condition. Click HERE for more information on the QM position. The scribe keeps the troop records. He records the activities of the patrol leaders’ council (PLC) and keeps a record of Scout attendance at troop meetings. Click HERE for more information about the Scribe position. The historian preserves troop photographs, news stories, trophies, flags, scrapbooks, awards, and other memorabilia. Click HERE for more information about the Historian position. The librarian oversees the care and use of troop books, pamphlets, magazines, audiovisuals, and merit badge counselor lists. Click HERE for more information on the Librarian position. Each instructor is an older troop member proficient in a Scouting skill who must also have the ability to teach that skill to others. An instructor typically teaches subjects that Scouts are eager to learn—especially those such as first aid, camping, and backpacking—that are required for outdoor activities and rank advancement. A troop can have more than one instructor. Click HERE for more information on the Instructor position. The chaplain aide works with the troop chaplain to meet the religious needs of Scouts in the troop. He also works to promote the religious emblems program. Click HERE to learn more about the Chaplain Aide position. The den chief works with the Cub Scouts, Webelos Scouts, and den leaders in the Cub Scout pack. Helps Cub Scouts advance through Cub Scout ranks and encourages Cub Scouts to join a Boy Scout troop upon graduation. Click HERE to learn more about the Den Chief position. The junior assistant Scoutmaster (JASM) serves in the capacity of an assistant Scoutmaster except where legal age and maturity are required. He must be at least 16 years old and not yet 18. He is appointed by the Scoutmaster because of his leadership ability. Click HERE to learn more about the JASM position. The Order of the Arrow Representative is a youth liaison serving between the local Order of the Arrow (OA) lodge or chapter and his troop. In his unit, he helps meet the needs of the unit and will serve as a communication and program link to and from Arrowmen, adult leaders and Scouts who are not presently members of the Order. Click HERE to learn more about the OA Rep position. The Bugler should be able to make appropriate bugle calls, as requested, at troop activities. Click HERE for the calls most often played by the Bugler. Bugler does not count towards leadership requirements for Eagle. Boy Scouts or Venturers who are members of bands, drill teams, or drum and bugle corps affiliated with a unit or a local council may also wear the musician badge special insignia. Musician does not count towards leadership requirements for Star, Life, or Eagle.